Vitamin E is the most important fat-soluble antioxidant present in human and animal tissues. It is found in the lipid-rich areas of cells such as in cell membranes and the brain. It is at these sites where it acts to stabilise and protect against oxidative damage caused by free radicals, heavy metals, and environmental toxins. 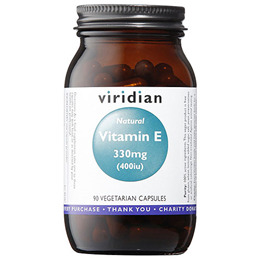 Vitamin E plays an important role in the health and integrity of the lipid-rich nerve cells. Vitamin E also supports immune function through its effects upon the thymus gland. 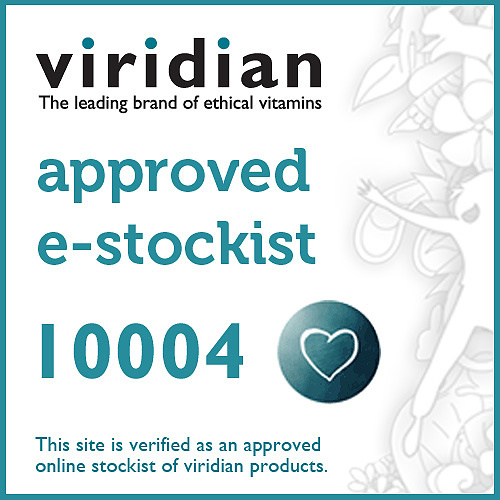 Below are reviews of Viridian Natural Vitamin E 400IU - 90 Vegicaps by bodykind customers. If you have tried this product we'd love to hear what you think so please leave a review. I buy this for my partner because it's a good quality vitamin e. He's been taking it for years and is still alive. The is the best product for women. I use vit E together with selenium! This is an amazing combination! My hair, skin, nail looks much better! Used 1 month, highly recommended.